Possibly Britain's favourite garden flower, Sweet Peas epitomise an English Summer Garden. Their sweet fragrance and beautiful flowers make them an excellent cottage garden plant, and as a bonus, the more flowers you cut to fill your vases, the more flowers they grow! Last year we were very pleased to be awarded our 10th Chelsea flower show gold medal which coincided with receiving The Royal Warrant to Her Majesty The Queen. It was a hard growing season last year with the weather being very hot one week and cold the following week. The start of this year has also been tricky with the weather being wet and dark and then going very hot and sunny. The plants are just coming into flower a couple of weeks before Chelsea so fingers crossed we might have enough to put on a reasonable display. Unfortunately from May 2018, due to rising costs over the last few years, we have to increase the price of our seed. This is the first increase since 2011. Buy Sweet Pea seeds using our website; we stock nearly 50 varieties, many of which we have bred ourselves. All of the other varieties have been selected by us as the very best available for perfume, colour and quality. 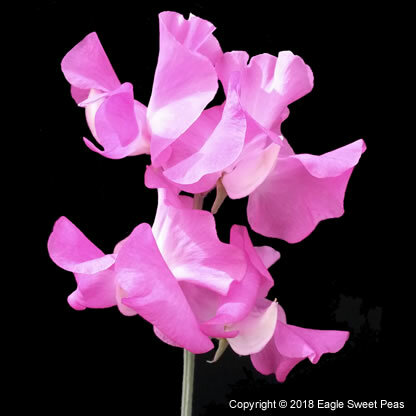 In addition to selling our named Sweet Pea varieties individually, we have put together a selection of collections and mixed packets, each chosen for a particular theme. Sorry, but the nursery is not open to the public. 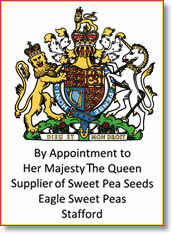 Eagle Sweet Peas are a specialist producer and retailer of Sweet Pea seeds. As a breeder of new Sweet Pea varieties, in 2014 we were thrilled to announce the release of our new variety HELEN MILLAR. 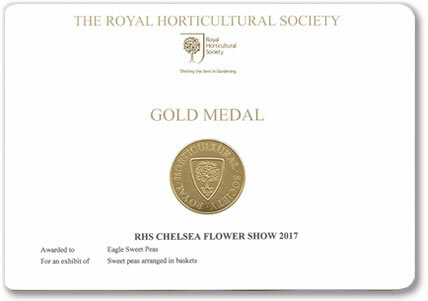 Over the years we have been awarded numerous RHS Gold Medals, but pride of place must go to the many Chelsea Gold Medals that we have won. 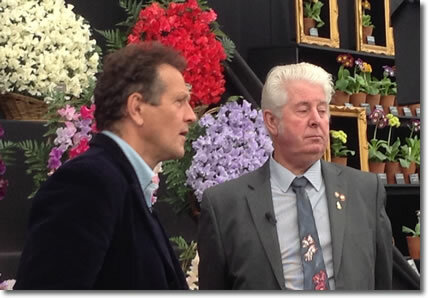 View the video of the interview with Monty Don. Buy Sweet Pea Seeds using PayPal for your seed purchases.